Anko is easygoing, tomboyish, playful, stubborn, short-tempered, and sometimes hyperactive, making her very similar to Naruto Uzumaki in many ways. 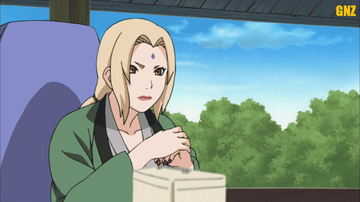 Despite portraying several "Naruto-like" habits, she has shown to be very knowledgeable and studious. However, she is also shown to have a bloodthirsty (in a literal sense) side, as shown when she scratched Naruto's face with a kunai, and licked away his blood. This probably comes from her time with Orochimaru. She regularly makes sure to have at least basic knowledge of the landscape for which her next mission will take place. As shown in flashbacks during the Land of Sea arc, Anko greatly admired Orochimaru while under his tutelage, seeing him as a role model and was inspired to be more like him. After being branded by Orochimaru with the Curse Seal, Anko became enraged and carried a deep loathing for her former teacher. From there on, Anko continues to search for Orochimaru in hopes of taking him down, feeling that it is her duty as his former subordinate to stop him, even at the cost of her life.